Each year, the Congressional Budget Office prepares a report for the U.S. Congress to provide an objective and impartial analysis on the state of the budget and the U.S. economy over a ten-year planning horizon to provide lawmakers an economic foundation for fiscal policy decisions. The 2012 report, The Budget and Economic Outlook: Fiscal Years 2012 to 2022, was issued in the midst of a sluggish economic recovery from the greatest economic downturn since the Great Depression, known as the Great Recession or the Global Financial Crisis. The report comes at a time of historic budget deficits and government debt, attempting to inform lawmakers the implications of current and likely fiscal and monetary policy on the U.S. economy and budget over the next ten years. Unfortunately, the economic situation can only be characterized as grim, as the national debt crowds out investment required for long-run growth and considerable slack remains in the economy for the foreseeable future (Congressional Budget Office, 2012). In addition, projected slow economic growth will likely exacerbate already historic budget deficits as tax revenues are projected to grow at a slower rate than entitlement spending; a situation that the CBO considers unsustainable (Congressional Budget Office, 2012). The growth of entitlement spending in the Social Security, Medicare, and Medicaid programs are projected to rise at a considerably higher rate than the Gross Domestic Product, given an aging of the population and rising healthcare costs. The implications for the future of the U.S. economy is quite serious, given that policymakers must choose between a fiscal policy that improves short-run economic growth through lower taxation and increased debt loads at the cost of long-run economic growth, or long-run economic growth through higher taxation, debt reduction, and lower entitlement spending at the cost of short-run economic performance. Although unfortunate, it is likely that policymakers will choose to focus on short-run economic problems, given the polarization in Congress and election year politics. Therefore, U.S. households need to prepare minimally for sluggish growth and the likelihood of additional recessionary periods, brought on by the short-run mentality of the U.S. political system. The CBO has differentiated their budget and economic outlook based upon two distinct scenarios, a baseline scenario based on current law and an alternative fiscal scenario based on possible changes to the law (Congressional Budget Office, 2012). The CBO’s (2012) baseline scenario estimates federal revenues and spending “under the assumption that current laws generally remain unchanged” (p. 1); including the expiration of Bush-era tax cuts, the expiration of limits on the Alternative Minimum Tax, and the scheduled drop of Medicare payment rates by 27%. In contrast, the alternative fiscal scenario assumes the extension of the tax cuts, an Alternative Minimum tax that is indexed to inflation after 2011, and Medicare payments to physicians that remain at current levels (Congressional Budget Office, 2012). The two scenarios intend to help lawmakers assess the economic and budgetary implications of either maintaining or altering the provisions of current law. In the CBO’s (2012) baseline scenario, the federal deficit declines from $1.1 trillion in fiscal year 2012 down to $196 billion in 2018, before rising up to $339 billion in 2022. The decline in deficit through 2018 is because the revenues shoot up by 30%, as the scheduled or recent expirations of tax provisions take effect and taxpayer’s real income increases, moving them into higher tax brackets (Congressional Budget Office, 2012). In addition, outlays are projected to rise from $3.6 trillion in 2012 to more than $5.5 trillion in 2022. While discretionary spending is projected to decline, spending for mandatory programs like Social Security, Medicare, and Medicaid are projected to rise significantly; while the accumulation of rising debt and rising interest rates increase the cost of servicing federal debt (Congressional Budget Office, 2012). 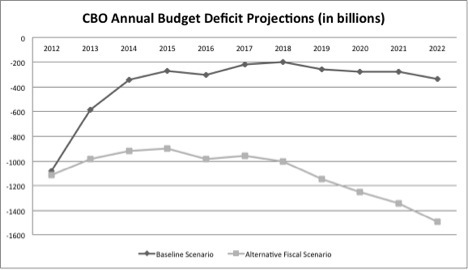 Figure 1 – CBO annual budget deficit projection comparison between baseline and alternative fiscal policy scenarios from 2012 and 2022. Adapted from “The Budget and Economic Outlook: Fiscal Years 2012 To 2022,” by the Congressional Budget Office, 2012, p.22. Another useful way to compare the budgetary impact of the two scenarios is based on the debt-GDP ratio, or the debt of the U.S. federal government expressed as a function of GDP (Mankiw, 2012). 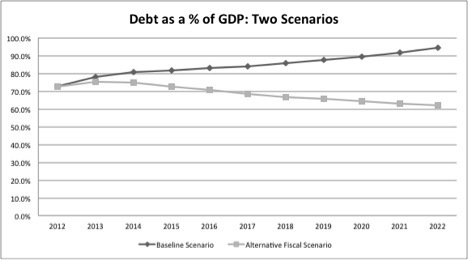 As noted in Figure 2, in the baseline scenario, the federal debt goes from 72% of GDP in 2012, down to 62% of GDP in 2022, whereas under the alternative fiscal scenario, the debt balloons to more that 94% of the GDP by 2022. Figure 2 – CBO annual total federal debt projection comparison between baseline and alternative fiscal policy scenarios from 2012 and 2022. Adapted from “The Budget and Economic Outlook: Fiscal Years 2012 To 2022,” by the Congressional Budget Office, 2012, p.22. Under both scenarios, an aging population and rising healthcare costs push entitlement spending higher, resulting in large deficits and levels of federal debt that are considered unsupportable (Congressional Budget Office, 2012). In the baseline scenario, the CBO forecasts slow growth of the real Gross Domestic Product, forecasted at 2% for 2012 and 1.1% for 2013 (Congressional Budget Office, 2012). GDP “is the market value of all final goods and services provided within a country in a given period of time” (Mankiw, 2012, p. 200); whereas the real GDP is “the production of goods and services valued at constant prices” (Mankiw, 2012, p. 205). Real GDP is an important measure because it only measures growth from production output, rather than growth resulting from inflation. Moreover, GDP is an identity used to understand how the economy is using resources and include the components of consumption, investment, government purchases, and net exports (Mankiw, 2012). According to the CBO baseline scenario projections, the economy will grow sluggishly through 2013, experience higher real GDP growth of 4% between the years 2014 and 2017, and growing at 2.5% from 2018 to 2022 (Congressional Budget Office, 2012). The CBO alternative fiscal scenario illustrates how changes to current law could affect the economy (Congressional Budget Office, 2012). Under the alternative fiscal scenario, economic outcomes could be quite different, as the GDP would improve slight in the short-run, increasing to 2.2% to 2.8% in 2012 and 1.6% to 4.8% in 2013 (Congressional Budget Office, 2012). However, GDP projections for the alternative fiscal scenario in the long-run reflects two opposing forces, lower marginal tax rates that will increase incentive to work and save, while higher deficits that will “crowd out” private investment (Congressional Budget Office, 2012). Mankiw (2012) describes “crowding out” as “a decrease in investment that results from government borrowing” (p. 274). Crowding out occurs as government borrowing decreases the supply of loanable funds that fund private investment, “the purchase of goods that will be used in the future to produce more goods and services” (Mankiw, 2012, p. 201). While the lower tax rates of the alternative fiscal scenario will encourage work, saving, and aggregate demand in the short-run, the increased debt will crowd out long-run productivity and economic growth sacrificing roughly 2% of growth by 2022 and beyond, where “the projected impact on GDP would tend to become more negative” (Congressional Budget Office, 2012, p. 29). Both the baseline and alternative fiscal scenarios highlight Mankiw’s (2012) first principle, that “people face trade-offs” (p. 4). In this case, the trade-offs are based on government fiscal policy under the baseline scenario that promotes long-run economic health while sacrificing short-run growth, or the alternative fiscal scenario that promotes short-run economic growth while sacrificing long-run economic health. Another important trade-off noted in the CBO’s economic outlook is the short-run trade-off between inflation and unemployment, echoing Mankiw’s (2012) tenth economic principle. While the labor market has shown signs of recent improvements (Lange, 2012), the unemployment rate remains stubbornly high, a situation the CBO attributes to continuing weakness in aggregate demand (Congressional Budget Office, 2012). According to the Bureau of Labor Statistics (2012), “persons are classified as unemployed if they do not have a job, have actively looked for work in the prior 4 weeks, and are currently available for work” (p. 1). Mankiw (2012) describes the relationship between inflation and unemployment, noting that higher aggregate demand results in higher prices, which in turn causes firms to hire more employees, reducing unemployment, resulting in an inverse relationship between inflation and unemployment. Because of continued short-run weakness in aggregate demand, the CBO (2012) expects the unemployment rate to remain above 8% through 2013, followed by a gradual decline to within the 5%-6% natural rate of unemployment by 2017 as the economy gains strength. During the next several years of continued high unemployment, the CBO (2012) expects prices will rise at a subdued pace, noting “the price index for Personal Consumption Expenditures will increase by 1.2% in 2012 and by 1.3% in 2013” (p. 37). While after 2012, the CBO’s (2012) expectations are that the inflation rate will rise to 2% as measured by PCE, inline with the Federal Reserve’s long-run goal. The inflation rate, “the percentage change in the price index from the preceding period” (Mankiw, 2012), is often measured with both the Consumer Price Index and the PCE price index. The CPI “measures the change in prices paid by urban consumers for a market basket of consumer goods and services [and] the PCE price index measures the change in prices paid for goods and services by the personal sector in the U.S. national income and product accounts” (McCully, Moyer, & Stewart, 2007, p. 1). Where the CPI is used as an economic indicator, the PCE price index is used for macroeconomic analysis and forecasting (McCully, et al., 2007), hence the focus on PCE in the CBO’s outlook. The CBO’s (2012) inflation projections are based in large part on the significant excess capacity in the economy for labor, capital resources, and housing. Because high unemployment continues to place downward pressure on wages in the labor market, it is less likely that businesses will need to raise prices to offset labor costs, once again highlighting the trade-off between inflation and unemployment. The modest improvement in the unemployment rate between 2012 and 2022 will moderate inflationary pressure. The CBO (2012) inflation outlook does note that there is concern by some economists that the Feds “extraordinary purchase of assets during the financial crisis will push inflation above 2 percent” (p. 37). The concern is valid given that the Fed’s purchase equated to injecting enormous sums of money into the economy, which creates a new equilibrium price level for the supply and demand of money, lowering the value of money (Mankiw, 2012). However, the CBO (2012) does not believe the increased money supply will lead to significant inflation because the money is largely in excess reserves, and the Fed has “several other policy tools for restraining borrowing, such as raising the federal funds rate and raising the interest rate paid on excess reserves” (p. 37). It appears that the CBO has faith in the Feds ability to manage the inflation rate at the 2 percent target over the next ten years. In short, the CBO (2012), in the baseline scenario, expects the U.S. economy to grow sluggishly over the next two years, with continued slack in the labor market and inflation below the two percent target. While in the long-run, the economy is projected to grow as much as 4% annually, reach the natural rate of unemployment, and experience modest inflation at the 2% target (Congressional Budget Office, 2012). Under the alternative fiscal scenario, the CBO (2012) expects very different outcomes for the economy, with higher short-run growth, a lower short-run unemployment rate, but higher interest rates as increase government debt decreases available loanable funds. In addition, the alternative fiscal scenario could lead to lower long-run growth as businesses defer investment and government debt increase, where rising interest rates cause government interest payments to take up a larger percentage of the budget (Congressional Budget Office, 2012). Recent economic news tends to reinforce the conclusion that the U.S. economy is gaining strength, as the number jobless claims remained at a four-year low (Lange, 2012), the GDP grew 3% in the final quarter of 2011, much higher than previously expected (Censky, 2012), and the Dow broke 13,000 for the first time since 2008 (Hauser, 2012). As a result, many Americans perhaps consider the economic headwinds of the last several years to be in the rear view mirror. However, the situation described in the CBO report tells a much different story highlighting the grim prospects for the U.S. economy. The economy remains sluggish and the unemployment rate is projected to remain high for several years, while the 2012 budget deficit is $1.1 trillion (Congressional Budget Office, 2012). Moreover, despite the Affordable Care Act, healthcare spending will remain the primary driver of federal debt over the next ten years. What is clear from the CBO budgetary outlook is the simple fact that little has been done to address the growing problem of entitlement spending. Auerbach and Gale (2012) suggests that the long-term budget outlook is unsustainable and recommends that policymakers address the imbalances soon to allow for gradual adjustments. Reduced productivity growth resulting from the crowding out of investment. A greater share of future income will be devoted to interest payments to foreign debt holders. Policymakers may be impaired in their ability to respond to future economic shocks. The economic implications of Bernanke’s warning are quite clear and play themselves out in the CBO’s alternative fiscal scenario. Of most concern is the real possibility of future economic shocks that policymakers may few options to deal with, given the extent of federal debt obligations or the possibility of a response creating a fiscal crisis. Both Bernanke (2012) and the CBO (2012) recognize that significant uncertainty exists in the economic and budget projections and suggest that the economy is quite fragile and open to future economic shocks, with the Eurozone crisis and rising gas prices tending to top the list. There also remains a distinct possibility the U.S. may experience another recession in the short-run. The future of the U.S. economy, although in the midst of a modest recovery, remains fragile because of policymaker’s divisions on government fiscal policy. While the Federal Reserve continues to implement monetary policy designed to help the economy perform relative to its potential, government fiscal policy continues to undermine U.S. economic growth. In particular, the CBO (2012) highlights the dilemma facing policymakers, given the must decide between the baseline scenario that could stifle short-run aggregate demand with the higher taxation required to reduce government debt, or the alternative fiscal scenario that stimulates aggregate demand in the short-run, but sacrifices long-run growth and increase government debt to unsustainable levels. Policymakers appear divided on their approach to dealing with the long-term structural problems associated with the federal budget, with Republicans favoring lower taxes and moderate spending cuts and the Democrats favoring higher taxes and few spending cuts. In addition, because of election year politics, neither party appears interested in actually solving the long-term budget problems, and as a result, may support the alternative fiscal policy for the short-run economic gains it promises. Of most concern to this author is policymaker’s unwillingness to tackle the most significant problem in the federal budget, the unsustainable entitlement spending that is the primary cause of growing government debt. The CBO (2012) warns policymakers that “if the rising level of spending is coupled with revenues that are held close to the average share of GDP that they have represented for the past 40 years, the resulting deficits will increase federal debt to unsupportable levels” (p. xiii). Indeed, Bernanke (2012) echoes the CBO, warning policymakers that a sustainable budget should be a top priority, arguing that “to achieve economic and financial stability, U.S. fiscal policy must be placed on a sustainable path that ensures that debt relative to national income is at least stable or, preferably, declining over time” (p. 7). In this author’s opinion, it is unlikely that policymakers will be willing to tackle the structural problems of the federal budget given the short-run focus caused by the U.S. political system. Rather, it is more likely that policymakers will remain focused on choosing between the two evils described by the CBO, the baseline scenario, or the alternative fiscal scenario. Because of election year politics, it is likely that neither party has the patience or the appetite to both raise taxes and cut spending, likely resulting in the continuance of bad fiscal policy in the form of the alternative fiscal policy. Therefore, U.S. households need to prepare minimally for sluggish growth and the likelihood of additional recessionary periods, brought on by the short-run mentality of the U.S. political system. Auerback, A. J., & Gale, W. G. (2012). The federal budget outlook: No news is bad news (pp. 1-26). Cambridge, MA: National Bureau of Economic Research. Bernanke, B. (2012). The economic outlook and the federal budget situation Committe on the Budget (pp. 1-7). Washington DC: Board of Governors of the Federal Reserve System. Congressional Budget Office. (2012). The budget and economic outlook: Fiscal years 2012 to 2022. Washington DC: Congressional Budget Office Retrieved from http://cbo.gov/sites/default/files/cbofiles/attachments/01-31-2012_Outlook.pdf. Outsourcing is a concept that has been around for quite a while where a company can pay another company to run a portion of their business. Carlson was one of the first companies to make a bundle by taking advantage of the opportunity to run the travel departments for large corporations. Nowadays, outsourcing is commonplace in manufacturing, call centers, and back office functions and often means that work is placed offshore or nearshore, although that isn’t always the case. Brym and Lie (2007) suggest that outsourced manufacturing to China is the cause of the manufacturing decline in the U.S, based on manufacturing job loss and then go on to note that free trade advocates would describe productivity gains as the culprit. In their final analysis, Brym and Lie (2007) suggest that offshore and foreign outsourcing results in the loss of good American jobs which are replaced which bad jobs, laying average income decline and class inequality at the doorstep of free trade. I think Brym and Lie are missing a couple of important points, namely the way in which trade raises everyone’s standard of living, technology’s role in job loss and job creation, and U.S. leadership of the knowledge economy. Specialization has been creating surplus for workers since the beginning of work. Smith (1776) first articulated the way in which trade benefits everyone, however Mankiw (2012) describes the concept more simply, noting that “trade allows countries to specialize in what they do best and enjoy a greater variety of goods and services” (p. 10). Because of the law of comparative advantage, each party benefits during a trade, irrespective of who holds any absolute advantage (Mankiw, 2012). Therefore, the notion of foreign outsourcing or offshoring is economically beneficial for both parties, despite the disruption to the lives of U.S. workers that lose their job. The economic benefits are of using low cost labor pools is clear, as lower cost labor results in higher margins and lower prices for consumers (Brainard & Litan, 2004). Of course, neither foreign workers nor greedy multinational corporations are to blame for job loss. Instead, the culprit is technology. Technological change is the number one cause of job destruction in the United States. According to Drezner (2004) more than 22 million manufacturing jobs were destroyed between 1995 and 2002 through improved productivity, the result of improved factory technology. Even the current ability to take advantage of low cost labor finds its origins in technology, the result of a global transportation network, a global communications network, and information technology. The process of creative destruction is going to continue as businesses and governments develop new technology to create sustainable competitive advantage, bringing about further changes. “For many, these changes will be acutely painful and impart serious consequences, while for others; technological change will bring unexpected opportunities and rewards” (Collins & Ryan, 2007, p. 7). 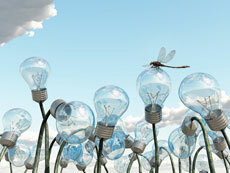 Some even think the growth of technology is changing our economy in fundamental ways. While Brym and Lie (2007) describe the major economic revolutions as agricultural, manufacturing, and most recently services, each characterized with serious disruptions in the labor force; they do not suggest that the labor disruptions occurring now are part of another revolution. Reich (2009) recognizes that the nature of skilled work is shifting towards what he calls symbolic analytic work, acknowledging that “a growing percent of every consumer dollar goes to people who analyze, manipulate, innovate and create” (p. 1). I prefer to think of the latest economic revolution as a shift from the manufacturing and service economy to the idea economy. Consider that in 2011, the global population grew past seven billion people, the majority of which are educated, and connected to the rest of the world through a global communications network. What new ideas will be shaped as billions of people connect with each other through the Internet in a many-to-many communications medium? 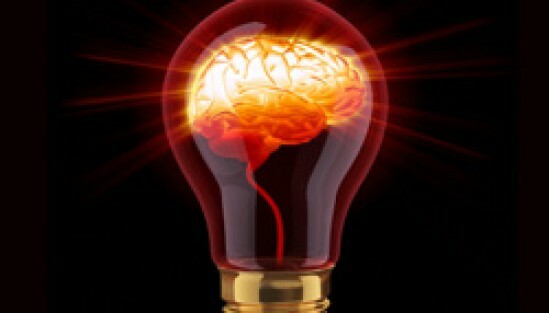 Shirky (2010) is optimistic that humanity’s cognitive surplus will be put to good use, bringing new levels of creativity and generosity to our economies. Another way to think about the idea economy is through the lens of symbolic interactionism. Blumer (1969) noted that “humans act toward things on the basis of the meanings they ascribe to those things [and] the meaning of such things is derived from, or arises out of, the social interaction that one has with others and the society” (p. 2). It stands to reason, that as more humans begin interacting with each other and society more often, and sharing their interactions, that new meaning will be creating and more human action will occur on the basis of that meaning. In practical application, consider how quickly the concept of microfinancing spread, with one study identifying more than 750 million accounts in alternative financing institutions, a clear example of a creative idea that caused a shift in human action (Christen, Rosenberg, & Jayadeva, 2004). In economic terms, the idea economy represents a shift from neoclassical economic theory to endogenous growth theory, diverging “by making technological change a function of economic incentives and behaviors” (Freeman, 2000, p. 9). Cortright (2001) conveys the notion more succinctly in suggesting that while physical capital is subject to the notion of diminishing returns, ideas suffer under no such constraint. The implication is that government can create conditions for economic growth by supporting technology innovation (Romer, 2008). So is offshoring and outsourcing a good trend, bad trend, or a natural trend? And why? Offshoring and outsourcing are good trends that provide short-run economic benefit and harm to displaced workers. I believe that the outsourcing and offshoring of manufacturing and service jobs is the beginning of an economic revolution to an economy based on ideas, an area that the United States is poised to dominate because of our history of technological innovation and our leadership of the existing idea industries, like high technology, media and entertainment, healthcare, pharmaceuticals, life sciences, telecommunications, and information technology (Rock, 2011). Workers displaced as a result of the shift will either find low-skilled service labor and take a pay cut, or obtain an education in the fields based on symbolic analytic work. Blumer, H. (1969). Symbolic interactionism; perspective and method. Englewood Cliffs, N.J.,: Prentice-Hall. Brainard, L., & Litan, R. E. (2004). “Offshoring” service jobs: Bane or boon and what to do? Brookings Policy Brief(132), 3. Christen, R. P., Rosenberg, R., & Jayadeva, V. (2004). Financial institutions with a double bottom line: Implications for the future of microfinance (pp. 1-20): CGAP. Collins, D., T. , & Ryan, M. H. (2007). The strategic implications of technology on job loss. Academy of Strategic Management Journal, 6, 27. Drezner, D. W. (2004). The outsourcing bogeyman. [Article]. Foreign Affairs, 83(3), 22-34. Freeman, R. (2000, October 2000). 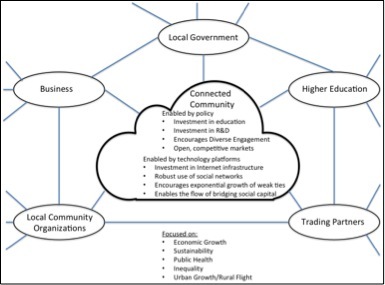 What does modern growth analysis say about government policy toward growth. Paper presented at the HM Treasury Seminar, London, England. Smith, A. (1776). An inquiry into the nature and causes of the wealth of nations. London, New York,: Printed for W. Strahan and T. Cadell. A. M. Kelley. Coming off the heels of the greatest financial crisis since the Great Depression, many policymakers, academics, politicians, business people, and everyday Americans are wondering how the U.S. economy can return to growth and more importantly, what government can do to affect future growth and productivity. The situation is complicated by a crippling U.S. debt of more than $15 trillion dollars (usdebtclock.org, 2012) and a divisive legislative branch of government that politicizes each policy debate, rather than seeking bipartisan solutions for the restoration of long run U.S. economic growth. How then, in this environment, does government contribute to long-run growth? What policies will have the most affect on long-run economic growth? The neoclassical growth model would suggest that government policy primarily has an affect on leveling out short-run variances in the economic system to optimize short-run efficiency, rather than on long-run growth (Solow, 1956). Whereas, endogenous growth models suggest that government can have an affect on long-run growth by promoting policies that contribute to knowledge, innovation, and technological progress (Romer, 2008). “Endogenous growth analysis diverges from neoclassical analysis by making technological change a function of economic incentives and behavior” (Freeman, 2000, p. 9). Using endogenous growth theory as the theoretical basis for recommendations, this author recommends that the U.S. government further use fiscal policy to promote education and innovation, revise the taxation system to promote national saving, and remove policies that support industry entrenchment and a maintenance of the status quo. According to Mankiw (2012), “at the very least, government can lend support to the invisible hand by maintaining property rights and political stability” (p. 256). While this is strictly true, the government can do much more to promote long-run growth. 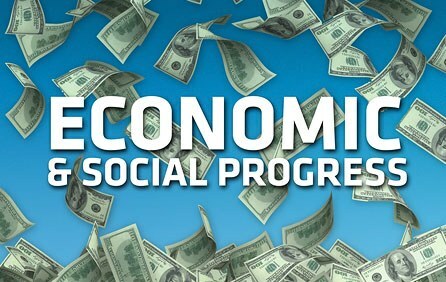 Economic prosperity, measured by GDP, reflects a nations ability to produce goods and services to raise the standard of living for economic participants (Mankiw, 2012). Determinants of productivity include physical capital, human capital, natural resources, and technological knowledge (Mankiw, 2012). Government economic policy should help American institutions use the determinants of productivity efficiently to maximize technological progress. As capital is factor of production, access to affordable capital is an important aspect of national economic fiscal and monetary policy. Because government deficits reduce national saving and investment, the $15 trillion U.S. government debt serves to stifle growth. 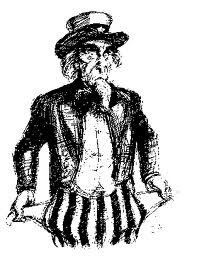 (Mankiw, 2012) In addition, the current income tax system also encourages private debt, rather than promoting saving and investment with its system of interest-based deductions. These policies can be considered to enhance individual quality of life by reducing the tax burden of individuals, choosing to defer tax revenue and borrow instead. However, in the end, these policies inhibit economic growth and may trade quality of life today for future innovation and growth. Rather, U.S. fiscal policy should place more emphasis on private savings and reduced government deficit to promote capital investment in new technologies. 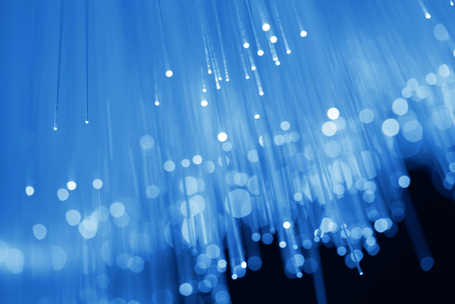 Technological innovation and improvements are at the heart of endogenous growth theory. The reduction of U.S. manufacturing jobs bears witness to the impact of technology to American industry. While many bemoan the loss of technology jobs to outsourced, offshore manufacturing, most technology jobs have been lost to technological progress through the process of creative destruction, rather than to offshore labor (Collins & Ryan, 2007; Reich, 2009). Manufacturing has simply followed the path of agriculture and the job destruction is the direct result of government investment in technological innovation. Consider that automated, outsourced manufacturing is the result of information technology innovations that allow product and factory design to occur electronically, and irrespective of geographical boundaries. In essence, without Internet technology, outsourced manufacturing and factory automation would hardly be practical. The necessary computing technology came from DARPA, a government innovation agency; (Van Atta, 2010; Waldrop, 2010); a classic example of how government investment in technology has powered the creative destruction of manufacturing and the dawn of the knowledge economy. Today’s economic powerhouses of the corporate world are not the manufacturers of yesteryear; rather, companies that specialize in information and knowledge are the titans that dominate the business landscape. Energy, financial services, life sciences, telecommunication, information technology, and Internet services companies are the industries benefiting from and driving the growth of the knowledge economy. The government should reducing barriers to innovation in these industries, considering deregulation wherever there is not a clear public interest in regulation. For instance, the FCC is grappling with how to continue to control the airwaves, when hardly anyone is using the airwaves and when they should simply get out of the way. New legislation is seeking to change the fundamental architecture of the Internet, when there are simpler and better ways to protect property rights online (Electronic Frontier Foundation, 2012). Perhaps the best example of an industry where the government needs to promote rather than stifle innovation is the energy market. U.S. interests have historically been aligned with the extraction and production of fossil fuels, most notably oil. The U.S. government heavily subsidizes the U.S. fossil fuel companies to the point that renewable and alternative fuels cannot compete effectively (Leonard, 2011). Rather, the government should level the playing field to allow alternative and renewable energy sources compete fairly with the fossil fuel market (Rock, 2011). Furthermore, the government should continue to direct DARPA to invest in alternatives to fossil fuel, given the DOD’s mission could be compromised because of Middle Eastern politics. When done right, government industry investment can enhance quality of life by helping companies bring new technologies to market. Government fiscal policy should be carefully manipulated to reduce unnecessary government industry interference, while aligning government industry investment with the development of new technologies. Of course, technological progress is not simply the result of government and private investment. Technological progress requires a commensurate investment in human capital. Mankiw (2012) notes that “education is at least as important as investment in physical capital for a country’s long-run economic success” (p. 247). In fact, to those economists subscribing to the ideas represented in endogenous growth theory, human capital investment is perhaps the most important because of the positive externalities it creates, or simply put, the ideas created that benefit others (Freeman, 2000; Mankiw, 2012). For example, Wikipedia is a byproduct of many positive externalities, as people the world over contribute their knowledge to the rest of humanity into a single, global, free, encyclopedia. The knowledge economy is entirely dependent on education as the basis for its success. Think about investment in education as an investment with limitless potential. Physical capital is subject to the notion of diminishing returns, whereas ideas suffer under no such constraint (Cortright, 2001). Consider the impact of a global population of seven billion people (Sanjayan, 2011), each contributing their cognitive surplus to the advancement of human progress through the physical infrastructure of the Internet (Shirky, 2010) and the idea of long-run economic growth the world over is imaginable. Today, the U.S. government invests significantly in the greatest research university system in the world, and has policies that promote secondary education like student loans and Pell grants (U.S. Office of Management and Budget, 2012). However, the $77 billion dollar budget is a paltry sum when considered as a percentage of either total budget or GDP. Given the potential of ideas to create economic growth, the U.S. government should consider the diversion of budget from physical capital to human capital. When considering the U.S. government’s policies through an endogenous growth lens, it is difficult to suggest that the government should maintain the same historical economic investment portfolio. Rather, policymakers should make investments that further promote technological innovation and the spread, rather than the control, of ideas. Rather than continuing to subsidize industries that represent the status quo, subsidies should be shifted to those industries with the most future potential. Rather than continuing to promote policies aimed toward consumption and debt, those policies should be moderated with policies that encourage private and public saving, and a lower government deficit. Rather than promoting a fiscal policy where a mere 2% of the budget is allocated education, what could happen should it be increased to 3%? What new ideas are possible should we send twice as many students to college for science, technology, engineering, or math degrees? In the final analysis, this author concludes that government fiscal policy should further invest in education and technological innovation, promote private and national saving, and promote industry investment in new technology, particularly in industries that make up the knowledge economy. Solow, R. M. (1956). A contribution to the theory of economic growth. The Quarterly Journal of Economics,, 70(1), 65-94. U.S. Office of Management and Budget. (2012). The budget for fiscal year 2012: Department of Education. Washington DC: OMB Retrieved from http://www.whitehouse.gov/sites/default/files/omb/budget/fy2012/assets/education.pdf. Van Atta, R., Dr. (2010). Fifty years of innovation and discovery. Washington D.C.: Department of Defense Retrieved from http://www.darpa.mil/About/History/History.aspx. Waldrop, M. (2010). 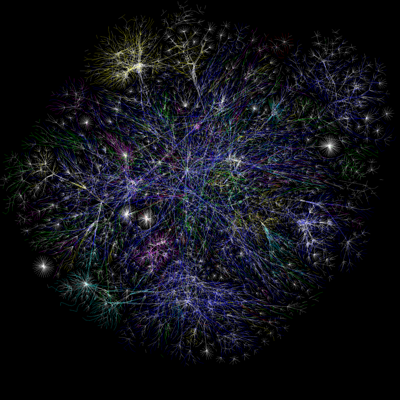 DARPA and the internet revolution. Washington D.C.: Department of Defense Retrieved from http://www.darpa.mil/About/History/History.aspx. According to Mankiw (2012), the gross domestic product “is the market value of all final goods and services produced within a country in a given period of time” (p. 200). The GDP is only one summary measure among many, that provides policymakers, business leaders, and individuals a view of the economic performance of the country; however, it is the measure most closely watched (Bureau of Economic Analysis, 2007). The GDP is divided into the components of consumption, investment, government purchases, and net exports (Bureau of Economic Analysis, 2007; Mankiw, 2012); each of which can have an impact on businesses and individual decision-making. Consumption is normally the largest component of the GDP (Bureau of Economic Analysis, 2007), defined as the value of household spending on durable goods, non-durable goods, and services (Mankiw, 2012). Consumption affects households and individuals insofar as it is reflective of the standard of living; meaning that higher consumption generally is indicative of a higher standard of living and vice versa. The major determinants of consumption are income, savings, and expectations of the future and the resulting use of available credit. Of major concern to many critics of the nation’s myopic focus on GDP as the primary measure of national progress, is the focus on consumption has helped create an era of hyper consumption, where many live far beyond their means by most measures, including economically, socially, or environmentally (Cobb, Halstead, & Rowe, 1995). Indeed, the latest financial crisis and subsequent global recession can be laid at the doorstep of hyper consumption as lending institutions made cheap credit available to millions of Americans irrespective of credit worthiness; where the subsequent defaults plunged the nation and the globe into crisis (Nanto, 2009). The focus on consumption distorts the decision-making of households, businesses, and government alike, obfuscating unsustainable practices by not including their impact in the equation, resulting in hyper consumption. “Investment is the purchase of goods that will be used in the future to produce more goods and services” (Mankiw, 2012, p. 201), including capital equipment, inventories, and structures. Increasingly, businesses pursue lean manufacturing techniques to minimize inventories, because high inventory impacts a firm’s profitability and ability to compete. In addition, high inventories can be a boon to consumers, as prices tend to drop as businesses seek to unload excess inventory. 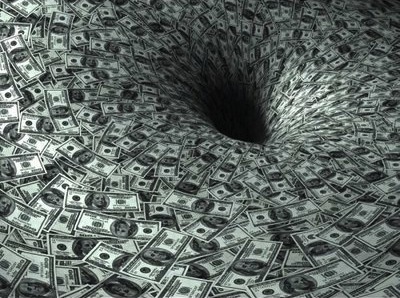 In 2009, government purchases were nearly three trillion dollars or more than 20% of the nation’s GDP, a significant portion of the economy (Mankiw, 2012). Government purchases are the money the government spends on goods and services, rather than transfer payments that redistribute income (Mankiw, 2012). Government spending is part of governmental fiscal policy and is used as an instrument to improve market outcomes. For example, after the latest global financial crisis, government spending was increased as part of the American Recovery and Reinvestment Act of 2009, where more than $840B in federal stimulus spending was spent in the form of tax breaks, grants, and entitlements (The Recovery Accountability and Transparency Board, 2012). The impact for households and businesses was twofold; first, the economy was injected with money, improving access to credit and lowering expenses, as a strategy to fuel consumption. Second, the spending focused on job creation, awarding grants to projects that created employment for more than 200,000 new job recipients (The Recovery Accountability and Transparency Board, 2012). Government purchases make up a significant portion of the GDP and impact the daily lives of consumers when wielded as an instrument of fiscal policy to improve market outcomes. Net exports are the final component of the GDP and is “the foreign purchase of domestic goods minus the domestic purchases of foreign goods” (Mankiw, 2012, p. 202); or put more simply, exports less imports. Net exports are removed from the GDP, because imports are counted in the components of consumption, inventories, or government purchases (Mankiw, 2012). Net exports are most commonly discussed as the trade deficit in the media and often in a negative light, as many consider the trade deficit to be the result of poor trade policy, while bemoaning the loss of U.S. manufacturing jobs. Rather, the trade deficit is the result of inflows of foreign capital because of the steep decline in personal and government savings over the last twenty years (Arnold, 2000). In other words, increased consumption and government purchases resulted in historically low savings, increasing foreign capital inflows. Arnold (2000) finds that the trade deficit is both harmful in some respects and helpful in others, but benefitting the U.S. economy in small but important ways; suggesting Congress should not alter trade policies, rather allow the trade deficit to recover naturally, or alternatively, improve incentives to encourage savings. The impact of net exports on consumers and businesses are complicated, but can be considered beneficial on the whole, while both harmful and helpful in specific instances; helpful in the sense that consumers can increase their standard of living by consuming goods at lower costs than domestically purchased products, and harmful insofar as cheaper imports result in manufacturing job loss domestically. The GDP is the primary measure of a country’s economic growth. Very often, and specifically in the U.S., there is a myopic focus on the GDP as the primary measure of economic well-being. Indeed, Mankiw (2012) indicates that “GDP does not directly measure those things that make life worthwhile, but it does maintain our ability to obtain many of the inputs into a worthwhile life” (p. 209). In business, there is an oft-cited mantra, “if you can measure it, you can manage it”. While the GDP is useful allowing individuals, businesses, and policymakers to manage economic growth, it ignores other critical measures of well-being like sustainability, social health, and national progress. Arnold, B. (2000). Cause and consequences of the trade deficit: An overview. Washington DC: Congressional Budget Office Retrieved from http://www.cbo.gov/ftpdocs/18xx/doc1897/tradedef.pdf. Bureau of Economic Analysis. (2007). Measuring the economy: A primer on the GDP and national income and product accounts. Washington DC: BEA Retrieved from http://www.bea.gov/national/pdf/nipa_primer.pdf. Nanto, D. K. (2009). The Global financial crisis: Analysis and policy implications. Washington, D.C.: Retrieved from http://www.fas.org/sgp/crs/misc/RL34742.pdf.